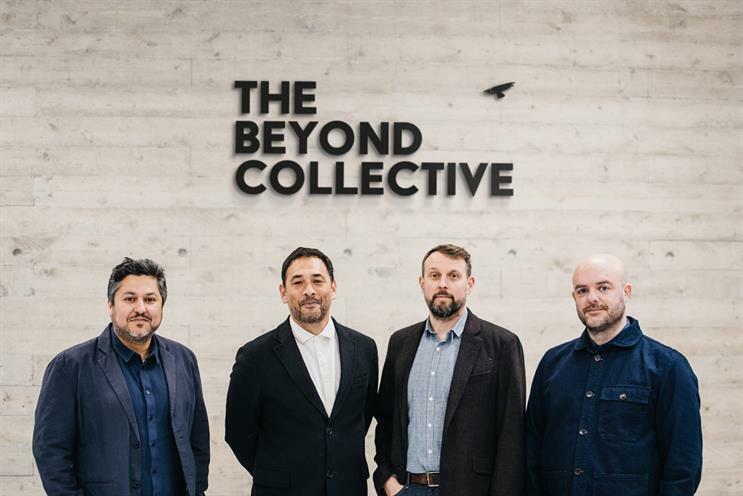 The partners of creative agency Above & Beyond are launching an independent creative group, The Beyond Collective. The "micro-network" launches with creative agency, Above & Beyond, and Yonder, a new independent media agency for the audience age. The agency partners are hoping the new set-up will allow the Collective to answer client briefs by accessing talent "without the shackles of a big agency structure". Yonder will be led by Ed Cox, the former managing director of Havas agency Forward Media (now Team O2), and has been established to bring audience-first strategies and creativity to the heart of media thinking. Other companies are in the pipeline and will be joining The Beyond Collective throughout 2018. Zaid Al-Zaidy, the chief executive of Above & Beyond, will assume the additional role of group chief executive of The Beyond Collective. Brand services director, Tom Bedwell, will be promoted to the newly-created position of managing director of Above & Beyond. He was managing partner of McCann London until 2016 and has previously held roles at Wieden & Kennedy, Mother and BBH. "Our industry's flux is an incredibly exciting time for the independent sector. Across disciplines, clients are asking for two things: help us grow our business in a new world where audiences are in charge; and give us access to your top creative and strategic talent without the shackles of a big agency structure," Al-Zaidy said. "The Beyond Collective offers precisely that." The Beyond Collective will be based in Bermondsey, in a new, purpose-built, space by architects at AHMM, with interior design by Jackdaw.